Iain Banks, originally uploaded by alister. 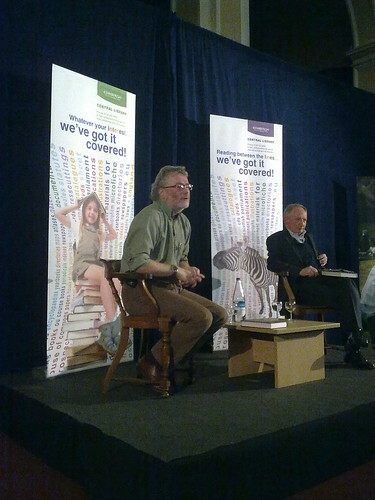 Iain Banks appearing at Edinburgh Central Library talking about his new novel Transition. Lacking the 'M' in the authors name which is usually used to denote one of his sci-fi books, he nonetheless described the book as 49% sci-fi. The library seem to be on board with the world of social media, with website, twitter, flickr and facebook options. Check out their blog, Tales of One City.